Hydrocodone Alternative – Is There a Stronger Substitute to Opioid? Hydrocodone medication is prescribed for severe pain. It is a depressant, which allows it to slow the central nervous system down. This way it alleviates pain, and patients can find relief. However, some users might become addicted to hydrocodone and use it for recreational purposes. That’s why it is important to consider all the natural, over the counter and prescription pharmaceutical alternatives and substitutes to this painkiller before starting the opioid use. Other drugs in the same class as Hydrocodone include morphine and oxycodone, both of them being powerful painkillers. What are The Other Drugs in the Same Class as Hydrocodone? Is Hydrocodone Stronger than Non-Opioid OTC Painkillers? What are the Cough Medications Similar to Hydrocodone? Are the Combination Drugs Better than Pure Hydrocodone? Over 200,000 Americans have died from overdoses related to prescription opioids since 1999 including hydrocodone opiate medications as they are very addictive. There are various alternative prescription painkillers that differ both in potency and side effects. Both these drugs are semi-synthetic opioids, with OxyContin being the extended-release form of Oxycodone. Both treat pain to an equal extent, taking effect within half an hour on average. Oxycodone is associated with constipation more frequently. Both drugs affect pain receptors in the brain, but Tramadol also enables the chemical messengers serotonin and norepinephrine to remain available to the brain over a more extended period. This helps block pain signals in the spine. They also have different side effects as tramadol is more likely to cause a sore throat and flushing, and hydrocodone common side effects include respiratory depression and confusion. These drugs have a different chemical structure. The latter was originally synthesized from the former (no such thing as natural Hydrocodone), but some people experience no effects from codeine because of the structure. This is the case when the patient lacks a specific liver enzyme that transforms codeine into morphine. Codeine is also an opiate. It is much weaker than the latter, has fewer sedative effects, and is less effective for treating severe pain. However, codeine is sometimes used to synthesize hydrocodone. Both are prescribed to treat coughs, but codeine cough syrup is considered quite mild and is even available OTC in some states, which isn’t true of any cough syrup containing the more potent drug. Percocet is a combination of Oxycodone and acetaminophen. It is also an opioid narcotic pain reliever, but the addition of acetaminophen improves pain relief. Percocet comes with specific side effects, including shock, paralytic ileus, and severe skin reactions. These two drugs have comparable rewarding properties in the conditioned place preference paradigm (CPP) in rats. They both exert their effects by means of signal transduction pathways known to be involved in reinforcement and reward. These findings indicate that these drugs can produce rewarding and euphoric effects to an equal extent. This would imply that they would be equally effective in managing pain and equally addictive. 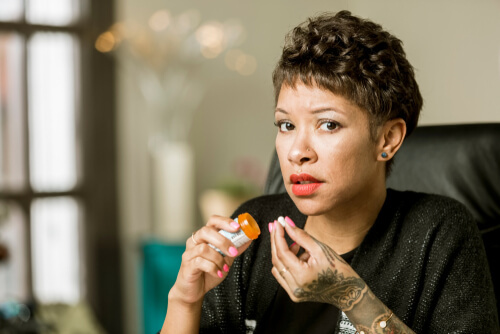 With pain that has become unmanageable, there comes a time when one is consumed with issues like how to get Hydrocodone or another potent drug daily. Dilaudid, which contains hydromorphone, is the stronger of the two drugs. It can help treat extremely severe pain caused by cancer, surgery, or broken bones. When a person is suffering from pain, the WHO recommends starting with an OTC painkiller such as Tylenol or Advil and proceeding to stronger drugs only if this has proved ineffective. So what’s to say about Tylenol vs. Hydrocodone? You’d be surprised – a study published in the Journal of the American Medical Association on over 400 patients showed they could be equally effective in managing pain! In this study, the patients (whose pain levels were comparable) were divided into two groups, with each receiving a different combination of medications. The first got 1,000 mg of acetaminophen and 400 mg of ibuprofen, which are often sold over the counter as Tylenol and Advil. The second got 5 mg of Hydrocodone and 300 mg of acetaminophen. The patients reported an average pain score of 8.7, without any major differences between the groups. There is no over the counter Hydrocodone. However, these findings suggest there may be an over the counter substitute for Hydrocodone soon. 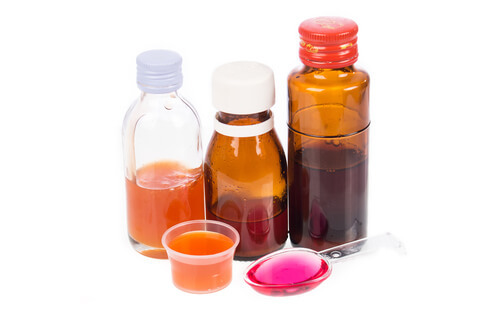 Cough syrup containing this opioid is frequently used in patients who have both strong pain and cough, like those with a cough from lung cancer. Alternatives to it include guaifenesin, an expectorant that helps loosen congestion in the throat and chest, alleviating symptoms, and pseudoephedrine, a decongestant that constricts blood vessels in the nasal pathways. A stuffy nose can be caused by dilated blood vessels. A combination of all three works best. Another option is dextromethorphan (DM), a cough suppressant often sold in combination with antihistamines, expectorates, or decongestants. Unlike the opioid, it interacts with depression medication. In its pure form, this drug has not been linked to serum enzyme elevations or liver damage during treatment, but grave side effects of Hydrocodone use, such as acute liver failure, have occurred due to unintentional overdose. Norco is a pain reliever made from a combination of the opioid and Acetaminophen used to treat moderate to strong pain. The latter is yet another brand name using the former substance, again in combination with Acetaminophen, used to relieve moderate to severe pain. A third brand name is Lortab (Hydrocodone Acetaminophen 5-325). This is somewhat stronger than Norco and is selected when other pain treatments, such as OTC medicines, do not treat pain to a sufficient degree. As mentioned, this is a very addictive drug. If you feel you have been abusing it for too long and become dependent, perhaps the time for Hydrocodone opiate addiction treatment has come. We recommend looking into the following treatment options for substance abuse. A qualified addiction expert will show you how to stop Hydrocodone and find a suitable, less dangerous alternative for pain management. Are you or your loved one struggling with pain and drug addiction? Call our free hotline (888)-459-5511 now for help. Addiction Resource » Addictive Substances: The Anatomy of Drug Addiction » What Is Hydrocodone Addiction? Opioid Strengths and Uses » Hydrocodone Alternative – Is There a Stronger Substitute to Opioid?